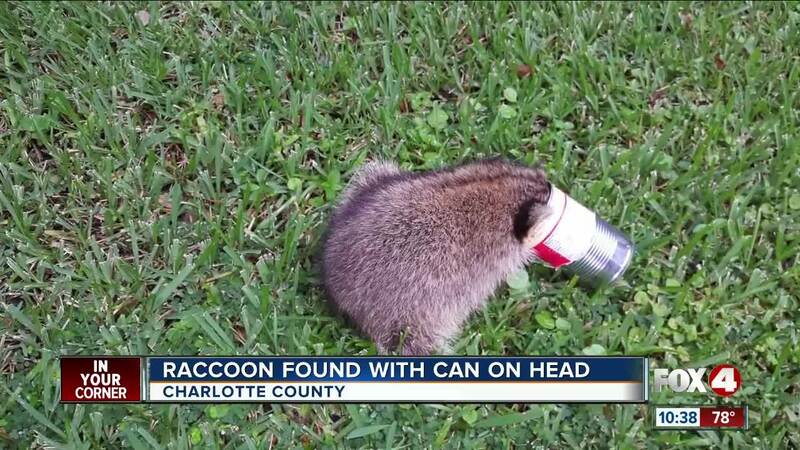 PORT CHARLOTTE, Fla. -- A poor raccoon is expected to be OK after it got its head stuck in a can of Chef Boyardee ravioli. Officers with Charlotte County Animal Control in Florida took the raccoon to the Peace River Wildlife Center for help Monday after a resident found the animal in her backyard. The juvenile raccoon needed to be sedated so the can could be carefully clipped away and pulled off. He only had minor injuries.